I have been burned a lot, fam, in this fasting stuff. This year, for a series of TMI medical reasons signed off on by the appropriate Muslim medical personnel, I am not fasting. 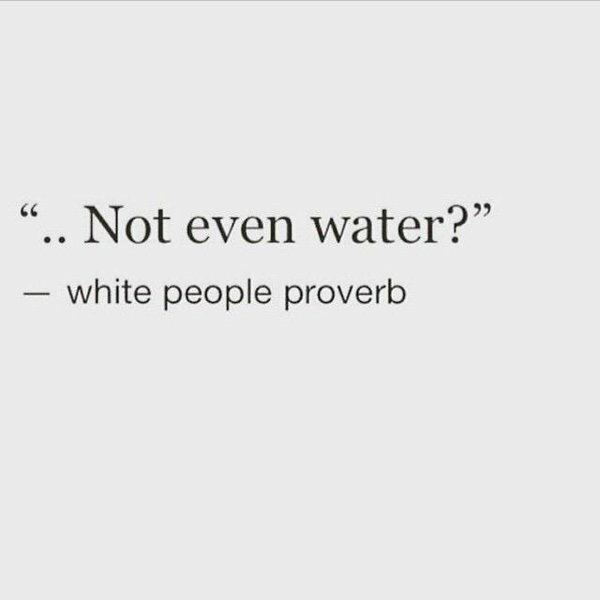 I laugh at the meme going around (“Not even water?” – White Person Proverb) because my medical issues are such that it isn’t fasting from food that is the issue but the fact that I cannot allow myself to get even slightly dehydrated. I am living the stereotype, y’all. I have realized two things in not fasting: first, it is that non-fasters cannot win no matter what they do; and second, I never realized how much not fasting means missing out. My dearest sister-in-law (may God bless her soul) who I miss every minute of every day also had a medical condition which took away her ability to fast. One of the things she always said during Ramadan (as I was able to fast when she was still alive) was that not fasting somehow took her out of the festivities. I didn’t understand her at the time. I do now. 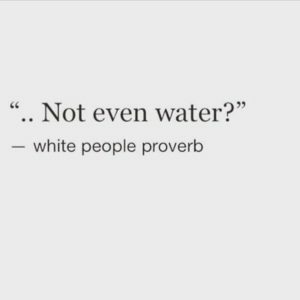 I already feel disconnected to the community (see: dejab, divorce) and in many ways I feel like not fasting is the nail in my Muslim coffin. I have never felt more like a Muslim misfit than I do this year. I feel like I have nothing to hold on to. I also realize how much unwanted advice she had to put up with when she was truly not healthy enough to fast. When you aren’t fasting, suddenly everyone wants to be your doctor, saying how fasting is a break for your digestive system, or how fasting trains your nafs or whatever. I even get caught up in trying to preempt the “advice” myself- in the first sentence of this post, I made sure to spell out that I got the proper sign-off on not fasting. Like I have to be extra legitimate in my not fasting and be 100% on the haqq. And that is the thing- the “rules” around Ramadan don’t mean “fasting at the expense of your health”; the requirement is to “fast if you are able to.” Yet because of all the judgment and unwanted naseeha (advice), the desire to dot every i and cross every t and completely over-justify myself is there. Yes I had Muslim sign off; no I am not going to tell you the gory details concerning the lining of my bladder so you too can decide if the Muslim sign off and that of an entire medical team was legit or not. What i have learned so far in the few short days of this Ramadan is that casting off some of my “Muslim” identity, staying in the Muslim closet in order to blend in, has been a double-edged sword. I get the benefit of “passing” but I have lost even more of the admittedly weak support group I could have had. At the same time, having seen friends not fast for years, what makes me want to stay in the closet is just all the crap people get for not fasting. I have to make peace with myself and my inconsistencies this Ramadan – in lieu of fasting, this is my goal. Only God is perfect.